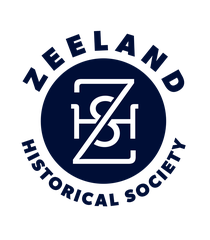 ZEELAND – The Zeeland Historical Society Sports Hall of Fame will be adding four new members on June 8, and it will be a family affair considering the newest additions will consist of a pair of brothers and a pair of sisters. The fourth bi-annual dinner is scheduled for 6:30 p.m. at the Howard Miller Library, with tickets sold at the door. Adult admission is $10 for adults and $5 for children 12-and-under. Here is a look at this year’s inductees. Lamer graduated from Zeeland High School in 1968 and Hope College in 1972, and he shined in baseball and football at both levels. Lamer played baseball at Zeeland for Jack Rumohr. He also said his coaches at Hope, including football coach Ray Smith and positions and baseball coach Jim Bultman were influential. What makes the honor even more special is that he gets to share the ceremony with his brother, Bob Lamer. “We played a lot together at Hope, and back in the sand lot days, we spent a lot of time playing together in the background,” he said. Schermer Dodge excelled in swimming at Zeeland before graduating in 1984, and she went on to star at Oakland University, too. She swam freestyle events in high school and college, specializing in the mid-distance and distance races. Schermer DeJonge earned All-American honors 24 times in Oakland, and at one point, she held 14 school records. Schermer DeJonge is a kindergarten teacher in Zeeland, and she credits her experience in swimming as a big plus for her successes later in life. “I’m most thankful for the friends that you make and the opportunities that swimming brings,” she said. “It brought me into the field of teaching as well. It gave me the confidence I needed to continue on. Bob graduated from Zeeland High School in 1970 and Hope College in 1974, having starred in football, basketball and baseball in high school and football and baseball at Hope. “It’s a special honor because it obviously means that people enjoyed watching you play,” Lamer said. Lamer taught at City Side Middle School in Zeeland for 35 years and coaching a variety of sports before retiring two years ago. Schermer Cooper graduated from Zeeland in 1988 and Oakland University in 1992, and she shined in swimming at both levels. She also was a distance freestyler, like her sister, and she found success in the individual medley, too, in college. Schermer Cooper was a member of Zeeland’s state championship team her senior seasons, then swam on three Oakland squads that won Division II national titles. She was a 27-time All-American for Oakland and earned seven national titles. While Schermer Cooper lives and teaches in Ortonville, she remains close with her sister.